In a rather unexpected move, Adobe has told developers that it no longer plans to develop future versions of its Flash Player for mobile browsers, and will instead focus on HTML5 and other web technologies. ZDNet broke the news earlier today but it has since been confirmed in an official blog post at Adobe's website. The last version of Flash Player for mobile devices will be 11.1, which is due out soon for the BlackBerry PlayBook and Android devices. The company had long touted the benefits of Flash over HTML5 but not everyone agreed -- most notably Steve Jobs, who maintained that Flash media streaming technology isn't suited for use on low-power mobile devices. Following Apple's decision to leave Flash out of their popular iPhone and iPad devices, web developers quickly started moving away from Flash to HTML5 -- or at least ensuring support for HTML5 alongside Flash. "Over the past two years, we've delivered Flash Player for mobile browsers and brought the full expressiveness of the web to many mobile devices," said Danny Winokur, Adobe's vice president of interactive development. "However, HTML5 is now universally supported on major mobile devices, in some cases exclusively. This makes HTML5 the best solution for creating and deploying content in the browser across mobile platforms." Besides increasing their investment in HTML5, Adobe said it will put resources toward giving Flash developers the tools to turn their Flash files into native apps for mobile operating systems with Adobe AIR. The company also reassured users that it would continue development on Flash Player for the desktop, with version 12 already in development. But the decision still raises a question mark over the future of Flash on desktop PCs. 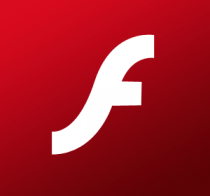 Dropping mobile Flash support could limit the appeal for developers to continue supporting the platform on their desktop sites. Meanwhile, Flash's receding relevance on the web as a result from this might discourage users from installing the plug-in on their machines, especially considering the somewhat frequent security and performance issues it has been known for. That said, Flash isn't dead yet and Adobe believes it still has a place in gaming with its support of hardware accelerated 3D graphics. On the mobile front, however, Android device makers will have to stop advertising the "full" web as an advantage over iOS. Judging by Apple's iPhone and iPad sales, it seems a lot of consumers never cared much about Flash anyway.